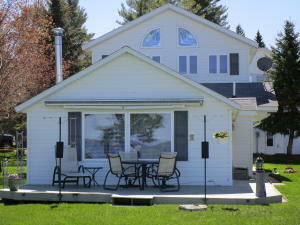 Remodeled in 1999 this beautiful year around home is located on the East shore of Burt Lake. Everything in the house stays. Owner just installed Geo Thermal heating and air conditioning-this house is small enough when it's just the two of you yet large enough to handle the gang when they all show up; large game/bedroom above garage (30'X38') 3 car garageand has some of the best beach front on Burt Lake for great swimming.